The inscription in the copy of Brave New World in the book collection at the International Anthony Burgess Foundation reveals that Burgess became familiar with Aldous Huxley’s dystopia in 1938, while he was studying at the University of Manchester. This make it Burgess’s earliest recorded reading of a work of dystopian fiction. Huxley’s work would go on to play a pivotal role in the creation of A Clockwork Orange in 1962. Of Huxley, Burgess writes that ‘no novels more stimulating, exciting or genuinely enlightening came out of the post-Wellsian time’. He continued to read Huxley after Brave New World, and reviewed many of his novels. In a review of another of Huxley’s dystopian novels, Island (1961), published in the Yorkshire Post, Burgess writes, ‘In the whole history of world literature no writer has been better equipped to create images of false and true Utopias than Aldous Huxley’. Burgess would go on to include no less than three of Huxley’s novels in his book Ninety-Nine Novels: The Best in English Since 1939. The novels are After Many a Summer (1939), Ape and Essence (1948) and Island. 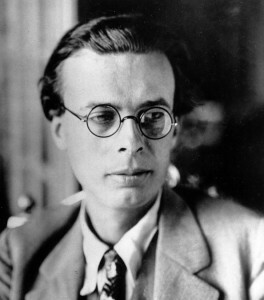 While Brave New World would prove influential for the young Burgess, it is arguable that Huxley’s assessment of his own novel, Brave New World Revisited spurred Burgess to write his dystopian novels. 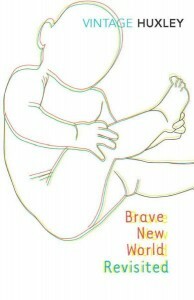 Much of Brave New World Revisited, published in 1959, concerns ideas that Burgess was to adopt and mutate in his novels A Clockwork Orange and The Wanting Seed, both published in 1962. Huxley admits in his first chapter that he believes Orwell’s dystopia to be a more plausible picture of the future than his own, but certainly Burgess was taken with Huxley’s non-fiction writings on overpopulation, brainwashing, and subconscious persuasion. Not only does Brave New World Revisited offer discussions of the above dystopian topics, but it also offers some critique of Orwell’s Nineteen Eighty-Four. Huxley writes that Orwell’s book describes a society controlled almost exclusively by punishment, yet in reality punishment only has the effect of temporarily stopping undesirable behaviour. It is Huxley’s contention that, in order to be successful, future totalitarian states must control their subjects through ‘systematic reinforcement of desirable behaviour, by many kinds of nearly non-violent manipulation’. In other words, brainwashing. Burgess must have found Huxley’s writing on the psychological manipulation of criminal to be compelling. Much of Ludovico’s Technique in A Clockwork Orange finds its basis in Huxley’s analysis, particularly the chapter dealing with Palovian behaviour modification. For more on Huxley’s influence on A Clockwork Orange, visit the International Anthony Burgess Foundation’s online resource for the novel. [INSERT LINK]. The Wanting Seed is also influenced by Huxley’s writing, particularly on overpopulation. The developing world situation in The Wanting Seed echoes Huxley’s premonition of an overpopulated planet in Brave New World Revisited: ‘The fantastically rapid doubling of our numbers will be taking place on a planet whose most desirable and productive areas are already densely populated, whose soils are being eroded by the frantic efforts of bad farmers to raise more food, and whose easily available mineral capital is being squandered with the reckless extravagance of a drunken sailor getting rid of his accumulated pay’. In The Wanting Seed, Burgess seems to suggest that the failure of the human population to procreate has been mirrored by nature. If man won’t breed, then nature won’t breed either. While Huxley stops at mere warning, Burgess takes the sparse and arid situation to a gruesome endpoint, as the fascistic greyboys are overcome by reckless indulgence and mob rule. Huxley writes, in Brave New World Revisited, that ‘death control is achieved very easily, birth control is achieved with great difficulty’. Burgess’s narrative deals with the same concepts, beginning as it does by describing the State’s effort to control birth rates. Eventually this fails and leads, through mob rule, to a satirical depiction of the army, conscripting soldiers to send to a phoney war in order to slim down the numbers. In Huxley’s terminology, birth control gives way to the much simpler death control.